og temaet er "Punch it out". Vi vil se din favorittpunch/dies. It is Thursday again and we have a new challenge for you over at MAWTT. The prizes this week is sponsored by Mayzyart. På kortet mitt har jeg brukt motivet Jason og jeg har fargelagt han med Copics. Diesene jeg har brukt er fra Spellbinders og Tim Holtz. with Copics. I have used dies from Spellbinders and Tim Holtz. Jeg håper du har lyst til å være med på vår utfordring. by all the gorgeous creations from my DT-friends♥. I hope you`ll join us. Så tøffe papirer og motivet er sååå fint. This is fabulous Marita. I love the wall you have put behind him, it sets it off a treat. Gorgeous creation, love the die cuts you have used! So wonderful male card !! Love the wall and so nice design ! Mycket charmigt kort, du har alltid så fina stämplar. WOW sier jeg ,dette er et nydelig guttekort,tøft flott og kult. Oh wonderful image and love your dies. 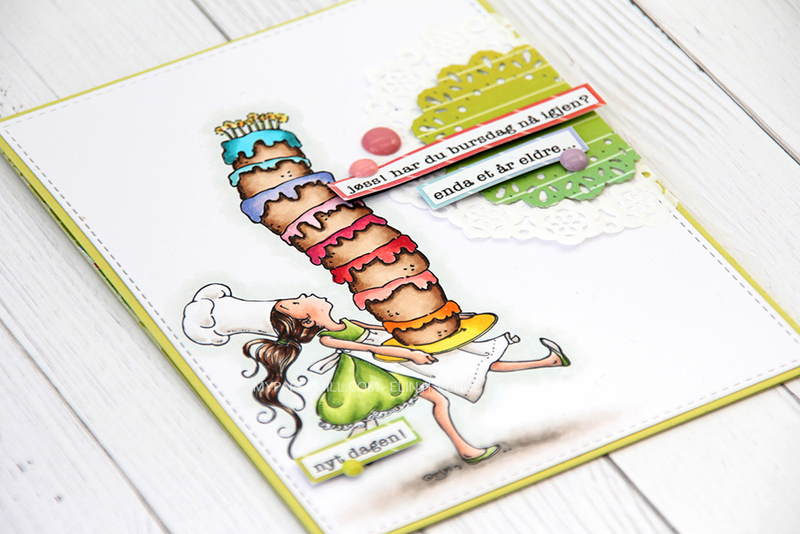 Super cool male card Marita - fab image and I love the wall you have used behind it. Wow Marita what fantastic card for a boy! I always find them so hard to make but you have certainly rocked it!! Marita this is gorgeous! I love that image and your coloring is absolutely amazing!! Awesome design and papers! Perfect guy card! Utrolig lekkert Marita, flott fargelegging og så lekkert du har dekorert! Oh wow Mariata this is gorgeous, especially as it is a male card. Love the image you chose and your colouring of it is stunning.